Halloween is one of my favorite holidays to decorate for; you can get so creative! 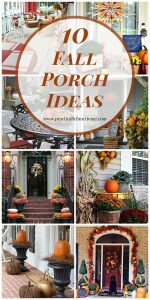 If you’re getting ready to decorate your front porch for Halloween, I’ve rounded up 14 awesome DIY Halloween porch decorations that are sure to inspire you! 1. 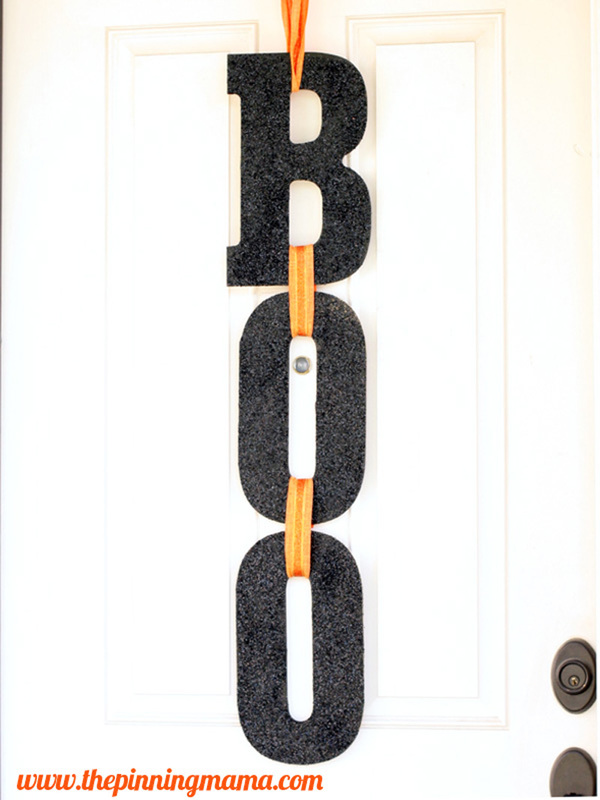 Spell out “Boo” on your front porch with this super fun and easy glittered wall hanging! Does your neighborhood boo each other at Halloween time? I’m sure you’ll be excited to “Boo,” too! But don’t worry this halloween Boo sign won’t scare off trick-or-treaters. Just look at how sparkly and fun this decor is! See the full instructions on The Pinning Mama. 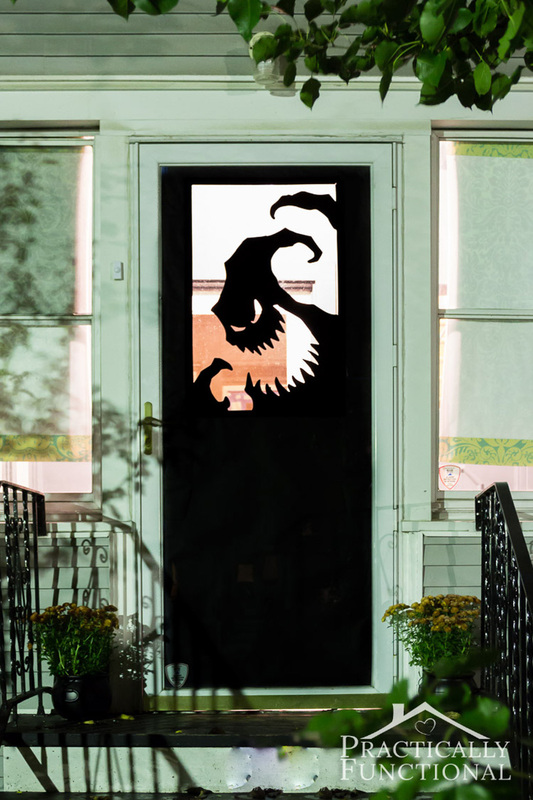 Add this spooky design to a window or door in your own home for a fun Halloween. 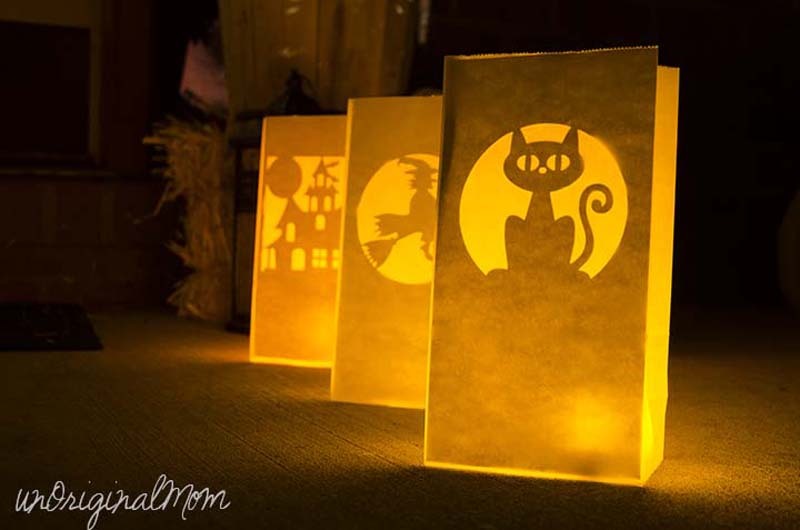 You could even turn your entire house into one oversized luminary by creating very large paper silhouettes for all of the windows! I’m in love with this idea. Really anything spray painted is a win! 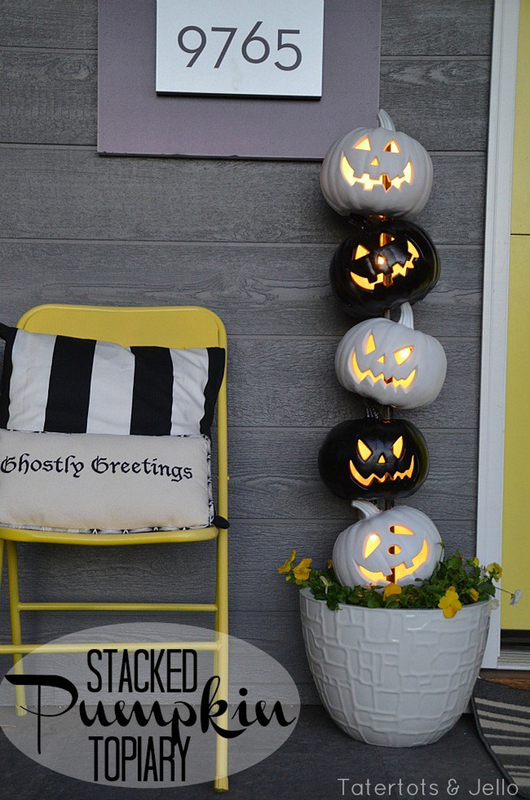 This project is as simple as just stacking pumpkins on top of each other and decorating them. And it’s even better during night time. You’ll love the way this pumpkin topiary glows! See the full instructions on Tatertots & Jello. 4. 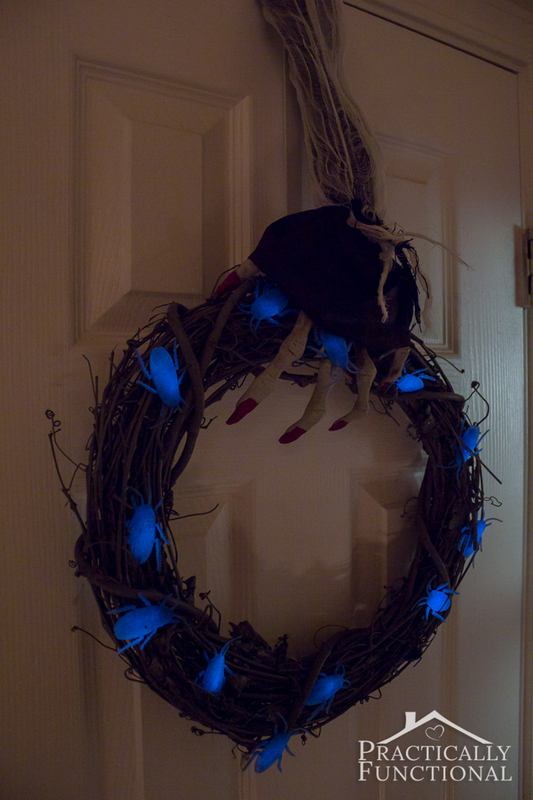 Make your own Halloween wreath with creepy crawlies that glow in the dark! 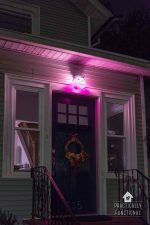 This glow in the dark wreath will greet all those brave souls who dare to enter your home. Proudly hang it on your front door for your neighbors to enjoy! 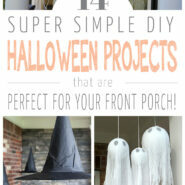 If you want cute decor this Halloween, then you have to check this out. Imagine the magical designs you can make with these bags! Make sure you save up your paper bags for this one. See the full instructions on Unoriginal Mom. 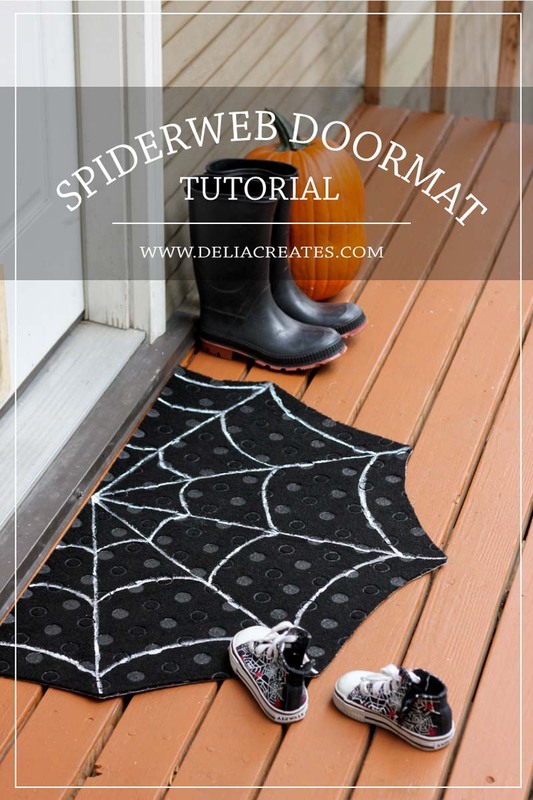 Skip the pricey holiday mats and make your own spider-theme welcome mat for just a few dollars. See the full instructions on Delia Creates. 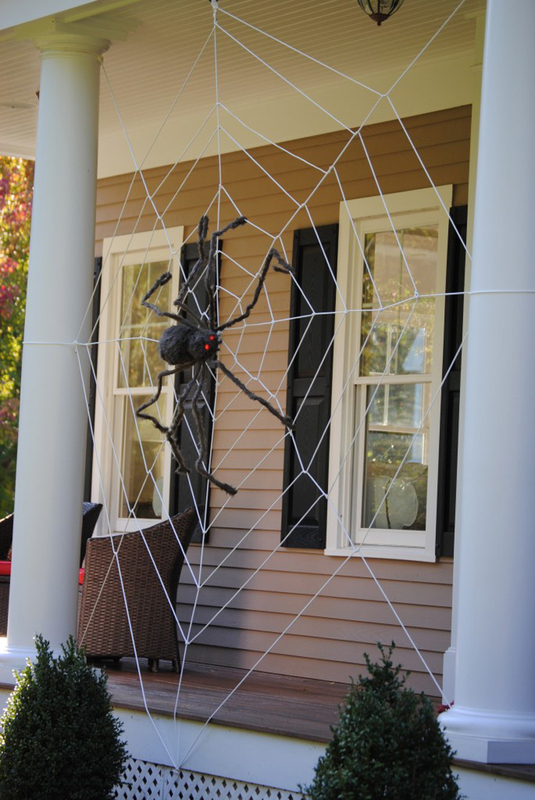 Make a scene by adding a giant outdoor spiderweb on your front porch, complete with a creepy giant spider. It will be a big hit for sure! See the full instructions on My Untangled Life. 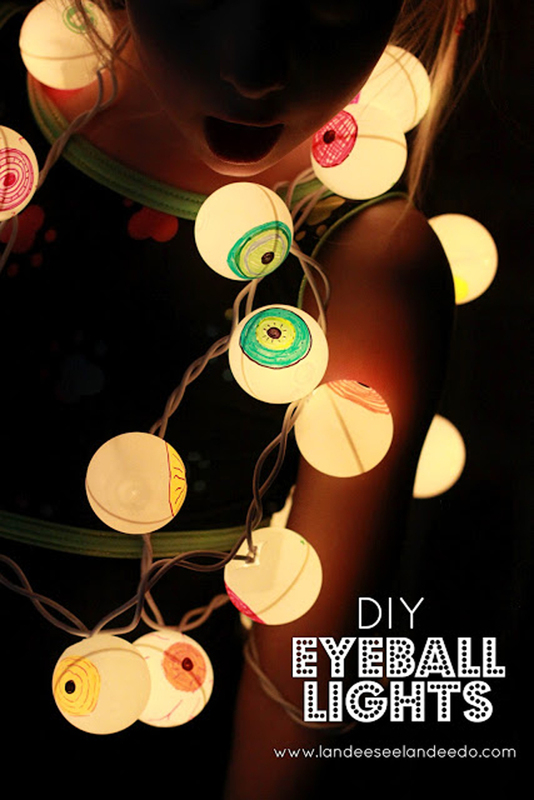 Ping pong balls make the perfect eyeballs, don’t you think? Let passers-by know you’re keeping an eye on them! 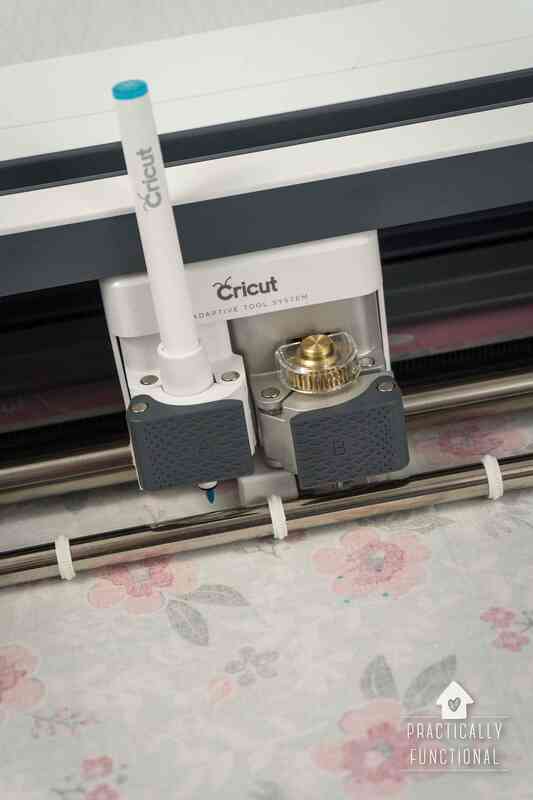 See the full instructions on Landeelu. 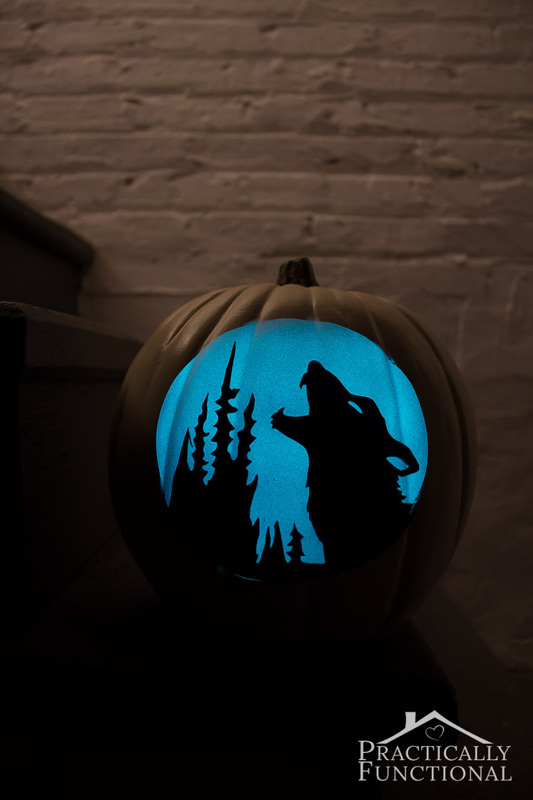 If pumpkin carving is not your expertise, this glow in the dark pumpkin is a fun alternative from the usual pumpkin ideas for Halloween! 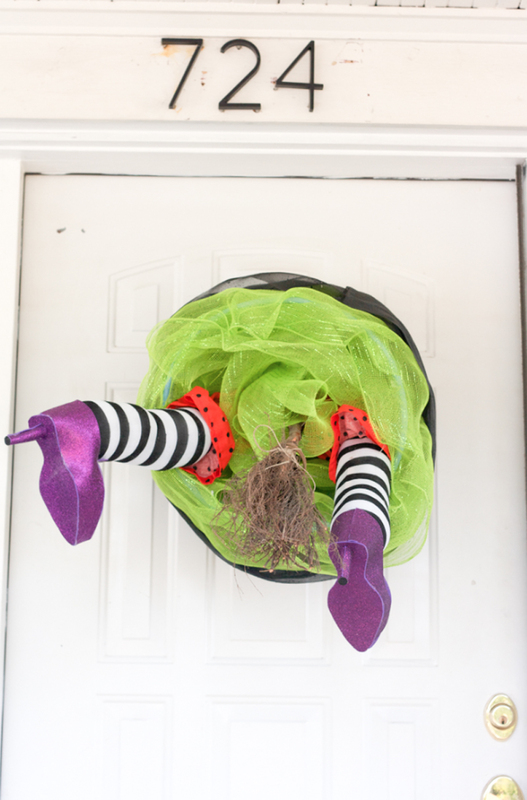 How hysterical is this witch crash door? It’s so fun to decorate using unusual items and make them look spooky! You must try this. See the full instructions on The Alison Show. Look! 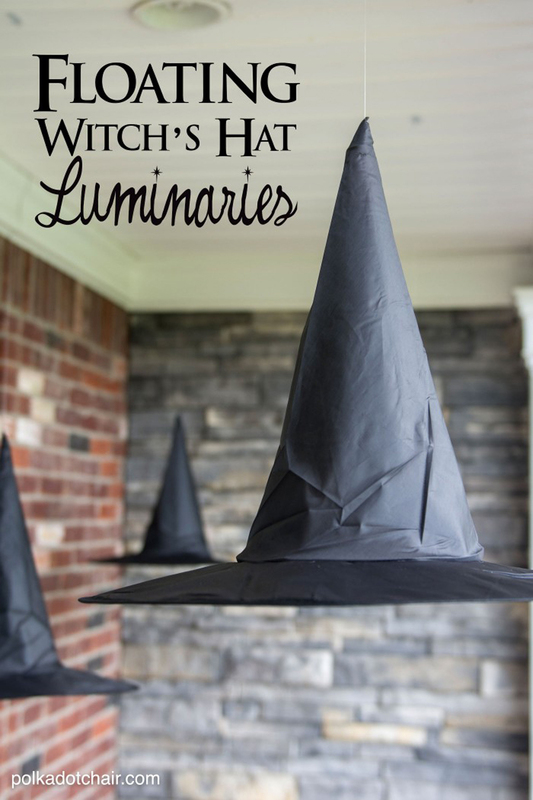 These witch hat luminaries are so wicked and cool! 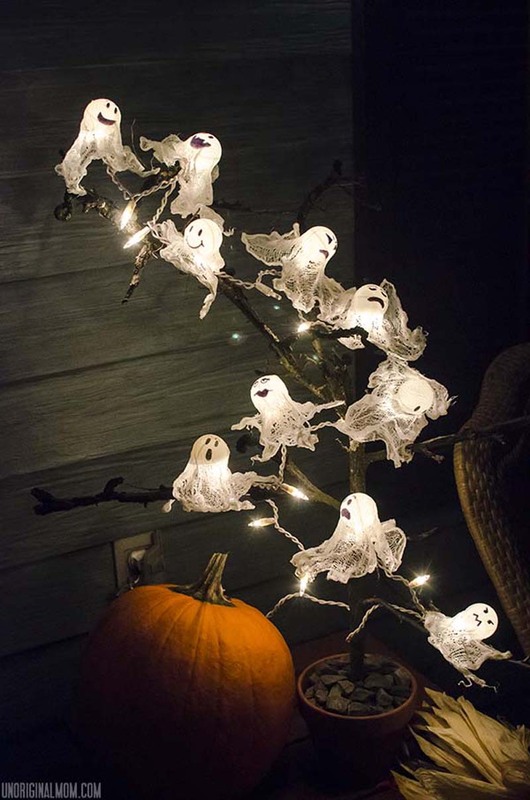 They will be the perfect to light up your porch, and give it just the right Halloween touch. See the full instructions on Polka Dot Chair. Sit down, turn on your favorite show and have fun creating different ghost faces on each ping pong ball using your Sharpies! It’s nice to have fun, flying ghosties on your front porch. 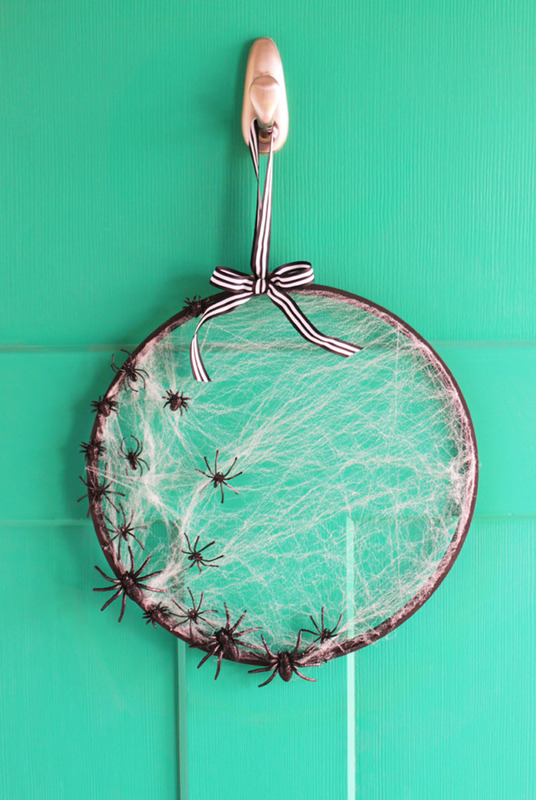 Why not raid grandma’s stash of old embroidery hoops and turn them into a fun, spooky spiderweb? Make sure to secure a dangling spider to the frame to complete the Halloween look. See the full instructions on My Sister’s Suitcase. 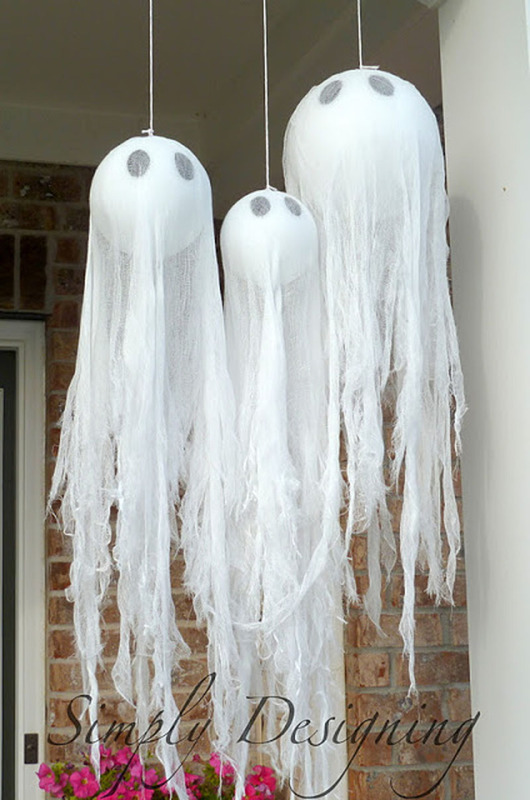 Hang them on your porch to sway by the wind and scare trick-or-treaters that are heading your home. 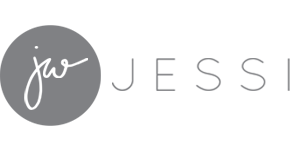 See the full instructions on Simply Designing. 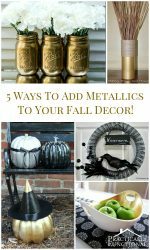 5 Ways To Add Metallics To Your Fall Decor! « How To Paint A Door The Easy Way!